​The wastewater collection system is exactly what the name implies - it collects the wastewater from houses and businesses. This series of pipes brings the wastewater to the treatment plant in order for it to be treated. In most places, the wastewater relies on gravity to flow through the pipes. In the places where the sewage needs to go up hill, pumping stations are installed to pump the sewage. According to the Article III, Section 3 of the Berwick Sewer District Rules & Regulations, the property owner owns and is responsible for all cost of installation, connection, and maintenance of the sewer pipes (sewer service laterals) on their property that connect the building to the public sewer system. If a blockage occurs, contact the Sewer District. We will inspect the sewer mains and determine if the blockage is in the public sewer. 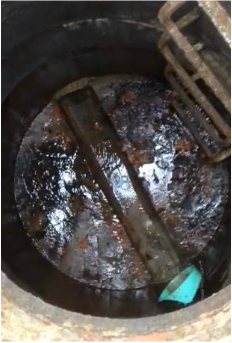 If no blockage is found in the public sewer, it is the property owner’s responsibility to clear the blockage from their sewer lines. 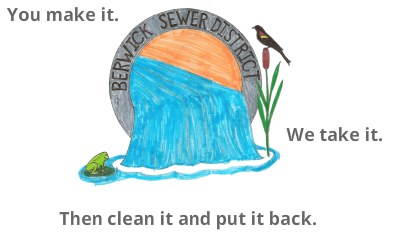 The installation and material requirements are governed by the Berwick Sewer District Sewer Standards. ​If repairs do have to occur, it is important to note that a minimum SCH-35 pipe with a 4-inch diameter is required. A clean-out is required every 75 feet of the service lateral. For more in-depth look at the requirements, click here.